Peel apple and dice into tiny cubes. 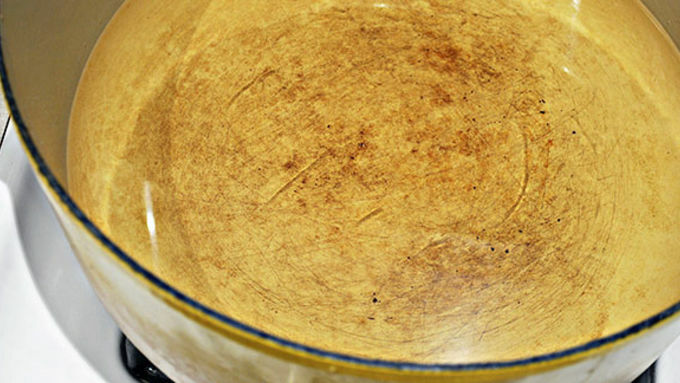 Heat oil to 375°F. You will need a candy or oil thermometer for this. 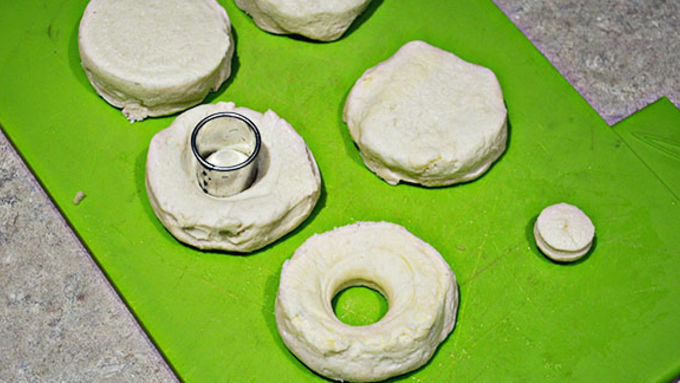 Remove the Pillsbury™ Grands!™ biscuits from the can and cut out a hole using a small cookie cutter. Test to see if the oil is ready by using one of the donut holes. Add the biscuits, but not more than three at a time. Flip when they are golden brown. 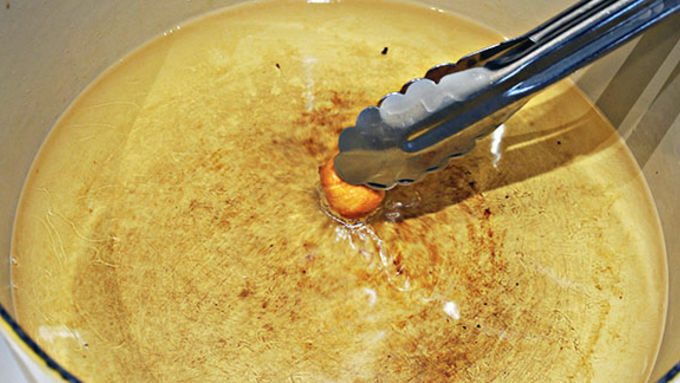 When both sides are golden brown, remove from oil and place on paper towel to soak up any extra oil. 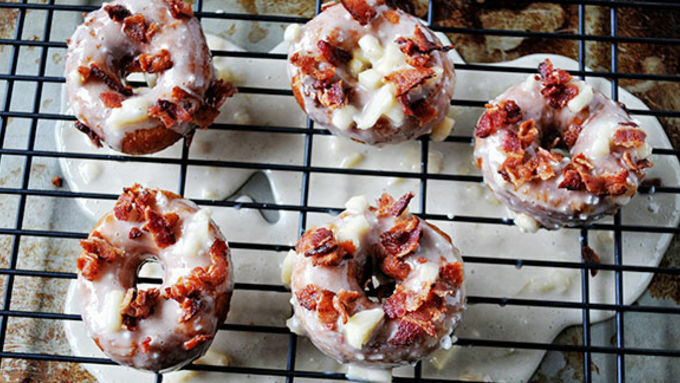 While donuts are cooling, make the glaze. Start with powdered sugar. Then add maple syrup. 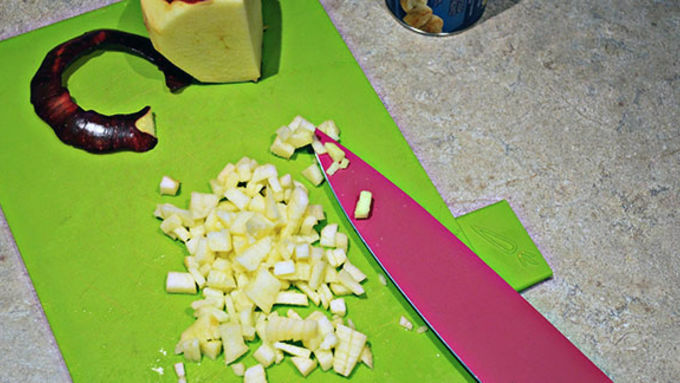 Add one cup diced apples. Add milk. 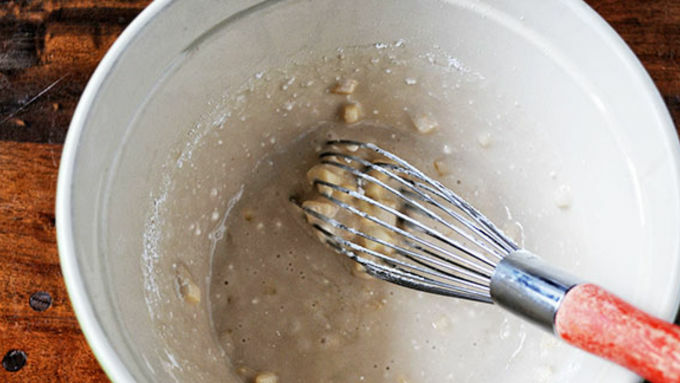 Whisk together until all the ingredients are incorporated. The apples will still be in chunks. 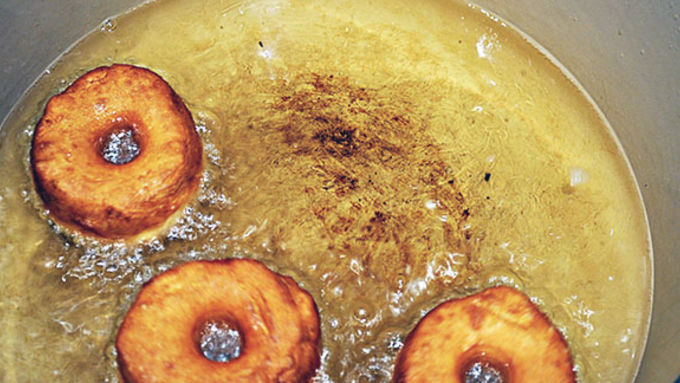 You can either dip your donut into the glaze or pour it over. I prefer the pour-over method. If you do the latter method, you'll want to have a wire rack and a baking pan underneath to catch the extra glaze. Add the bacon pieces to the glaze before it starts to harden. Let donuts sit while the glaze sets up. 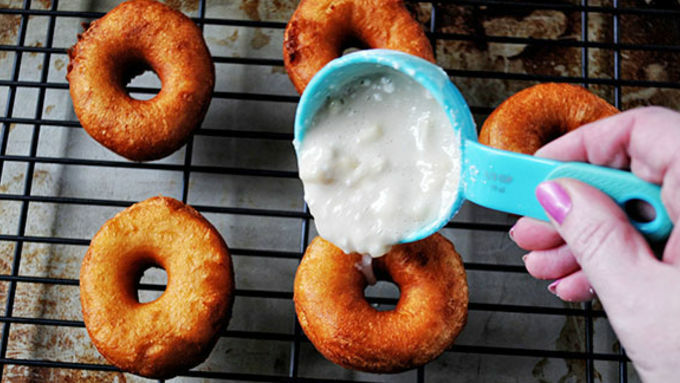 One of the best things about snow days growing up was coming home to my mother making us fresh hot donuts. For years I thought she made them from scratch – until she broke down and told me it was just biscuit dough. 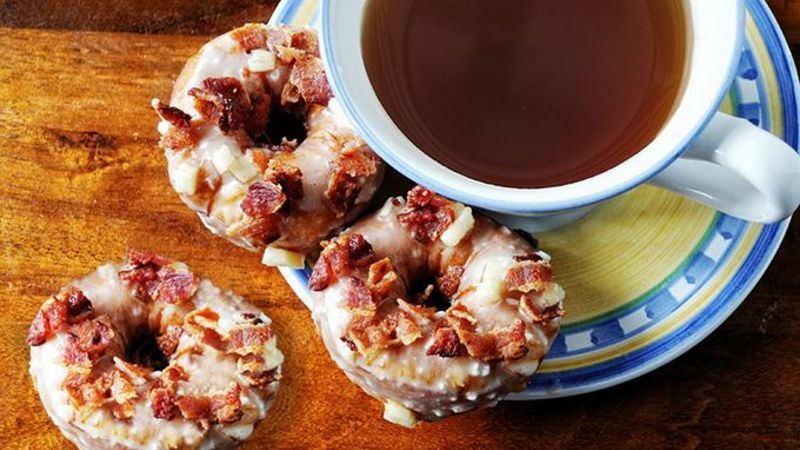 Hers were simply sprinkled with cinnamon sugar but I thought, "Why not really make the kiddos an afterschool treat of Maple Bacon Apple Mini Donuts?" These are so easy to make and your whole family will be impressed. Grab a nice cup of tea or coffee and nibble away!